Moving House in Knightsbridge or surrounding areas? 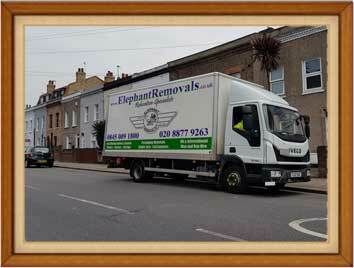 With Elephant Removals you can be assured of a professional moving service in London. We provide all aspects of cost effective Knightsbridge Removals service to suit your individual needs. Our goal is to ease the moving home process and ultimately provide a satisfactory relocation solution. We conduct regular House Removals Knightsbridge and to other parts of London. We operate during weekends and Bank Holidays. Moving your household furniture and belongings to your desired location anywhere in the UK. Elephant Removals Company can also supply a low-cost Man and Van Knightsbridge service with the motto, anything moved, anywhere, anytime. Whether it is a single item to a full load, great for students moving, no job is too small. Home Removals, Office Relocation and Corporate moves, we can even arrange a last-minute secure London storage and provide a Handyman service to help with the final touches to turn your premises into a desirable place. We are a trusted Knightsbridge Removals company moving town houses to beautiful apartments and offices in the Royal Borough of Kensington and Chelsea, London, England. Knightsbridge, a residential and retail district in the London Borough of Westminster, Chelsea and Kensington, England. Located directly next to Hyde Park, Knightsbridge also is one of the most attractive areas in London. It tirelessly innovates culture and diversity to an undefined extent. Knightsbridge is famous today not only for its luxurious property but also for its retail outlets. For instance, Harrods and Harvey Nichols are famous department stores that can be found on Sloane street. Many properties are large scale Victorian terraces and squares. So, if you enjoy culture and art as much as the next person, Moving to Knightsbridge will be an option you could never forget. Read genuine Knightsbridge Removals Reviews as a direct feedback! We would like to thank your fantastic service yesterday..